It was today announced that the Duke and Duchess of Sussex will visit Bristol Old Vic as part of their tour of the city on Friday 1 Feb.
During their visit, Their Royal Highnesses will have the opportunity to meet members of the public, learn more about the city’s rich cultural history and visit organisations which support communities most in need. Their Royal Highnesses will first visit Bristol Old Vic, which recently completely its major refurbishment project. Built in 1766 as a place where the people of Bristol could come together, and given its first royal seal of approval in 1778, Bristol Old Vic is the oldest continuously working theatre in the English speaking world. The Duke and Duchess will tour the recently renovated facility and find out more about the theatre’s unique history and links to the local community. 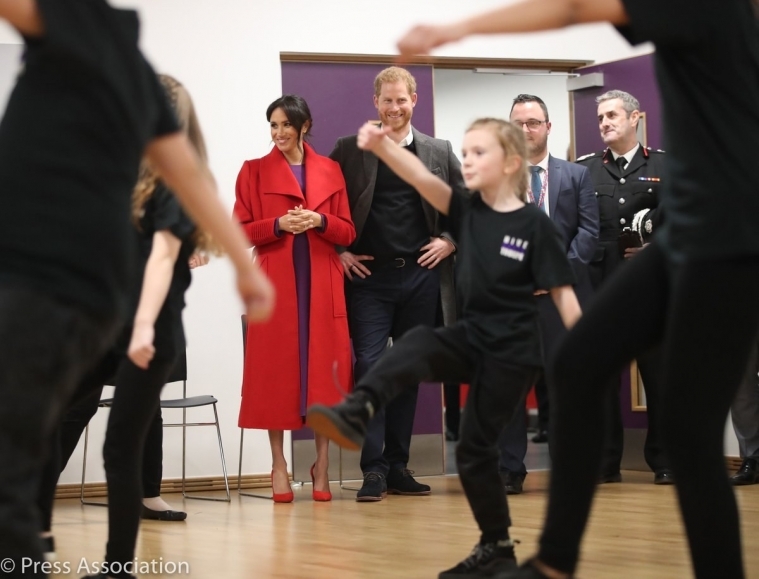 The Duke and Duchess will also drop in on a workshop attended by local school children, which is part of Bristol Old Vic’s outreach programme. Ahead of their visit of the Bristol Old Vic, Their Royal Highnesses will have the opportunity to meet members of the public gathered outside.